Fencing is essential in a range of different applications, whether you’re looking to simply signify the boundaries of your property, increase security, or a whole host of other things. Here at Wilson Laidler & Co. Ltd, we are experts in providing a range of fencing options for clients in every sector – industrial, commercial, and domestic customers. Being based in Sheffield, we are perfectly placed to service the surrounding areas – working closely with you to carry out your project to your requirements. If you would like to hear more about the fencing we can provide, please reach out to us by calling 0114 248 1158 or filling out our simple contact form. We are dedicated to providing the best fencing options for your project. 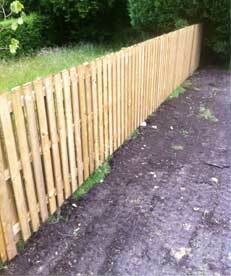 We are also able to accommodate your fencing project beyond the aforementioned. 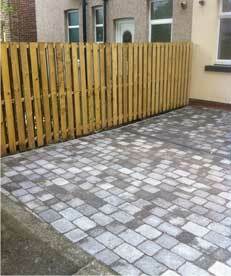 Contact us to enquire whether we can fulfil your requirements. If you require fencing for your property or project in Sheffield, reach out to our team here at Wilson Laidler & Co. Ltd. You can call us on 0114 248 1158 or fill out our enquiry form and a member of our team will be able to help.